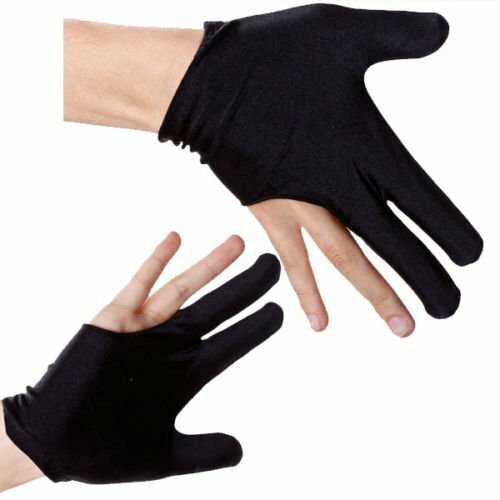 10pcs 3 fingers gloves which is perfect for all billiard players, men or women, amateurs or professionals. 3 fingers cue glove made for both left-hand and right-hand shooters. These gloves are stylish and fashionable. Made from a high quality stretchable comfortable material. They are great long lasting that you won't have to replace every week or so. With this 3 fingers glove, the cue can slide through the glove easier. This helps you to maintain consistent strokes with any cue stick. Stays clean -- needs less cleaning. Easy to clean -- Machine Washable. Dryer OK.